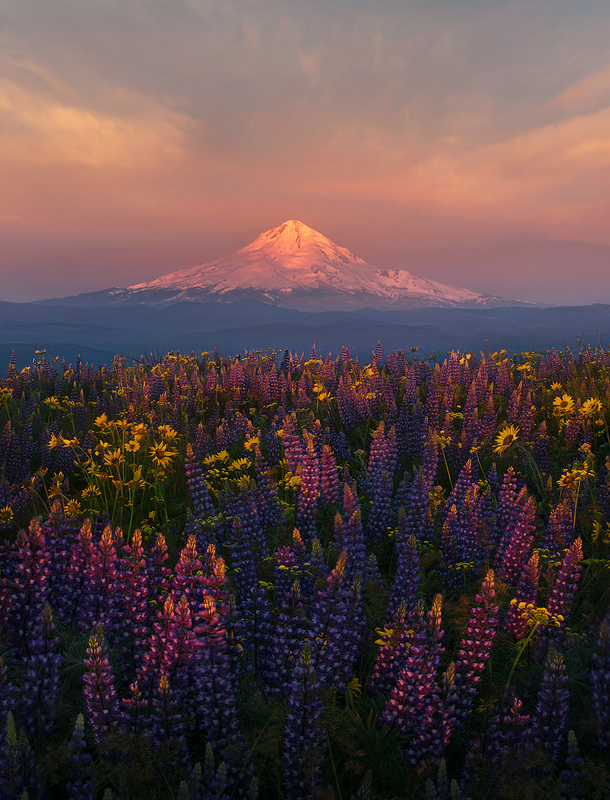 Incredible fields of wildflowers adorn the high plateaus of South Central Washington, far above the Columbia River and mount Hood late every May. I think they are even more amazing than the blooms photographers rush out to shoot down below earlier in the year! This shot was taken early one morning I spent wandering through at peak season. . Photo © copyright by Marc Adamus.